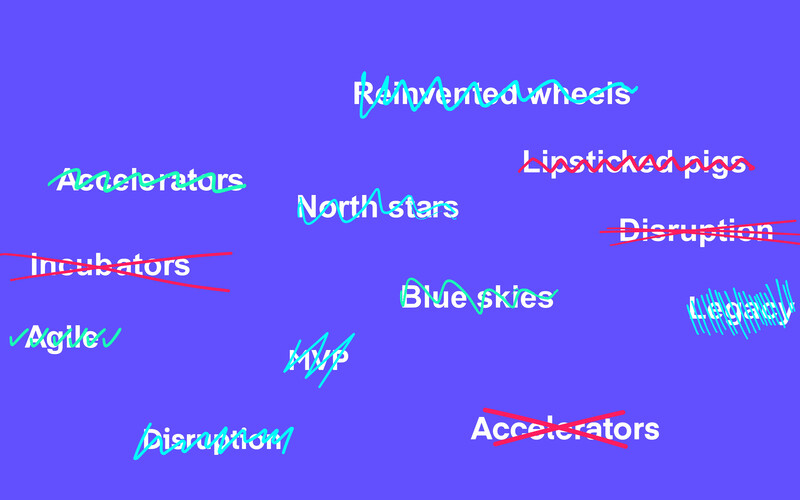 Big organisations are spending millions (and even billions) transforming themselves to get ready for the future. And that’s good: as start-ups snap at your heels, you need to be quicker, lighter, better. But here’s the trouble with transformation – you’re often trying to rewrite what’s set in stone. Are you building a business for the future? Or a more digital version of your current culture and model? Are you rethinking your approach to business, or just polishing up the edges? We believe transformations aren’t enough when you’re trying to build the business of tomorrow. That’s the business you’d build if you started from scratch. It’s a spin-off designed to learn and grow faster than the competition – working happily alongside your existing transformation. 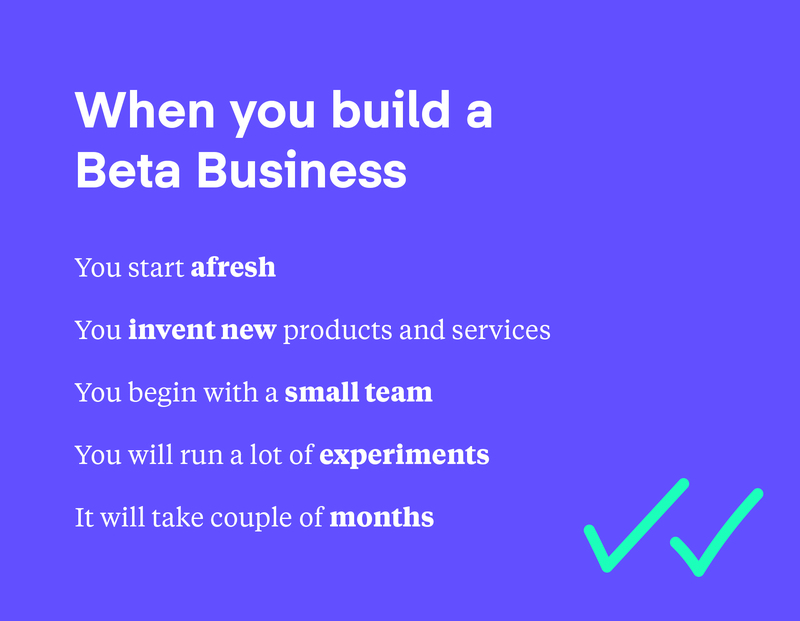 Why build a Beta Business? Sky launched Now TV as an answer to online streaming. It’s now in the top five UK TV brands – they created the competition before anyone else did. Nestlé originally launched Nespresso for the business world. Flash forward twenty years and it’s now a consumer brand with a luxury feel. Either way, Nestlé reach new customers without taking them away from their other coffee brand, Nescafé. When we launched SMARTY for Three, we went from first ideas to fully-fledged service in just six months. Because we were able to test with customers so early, SMARTY’s already the highest-rated mobile network on TrustPilot. 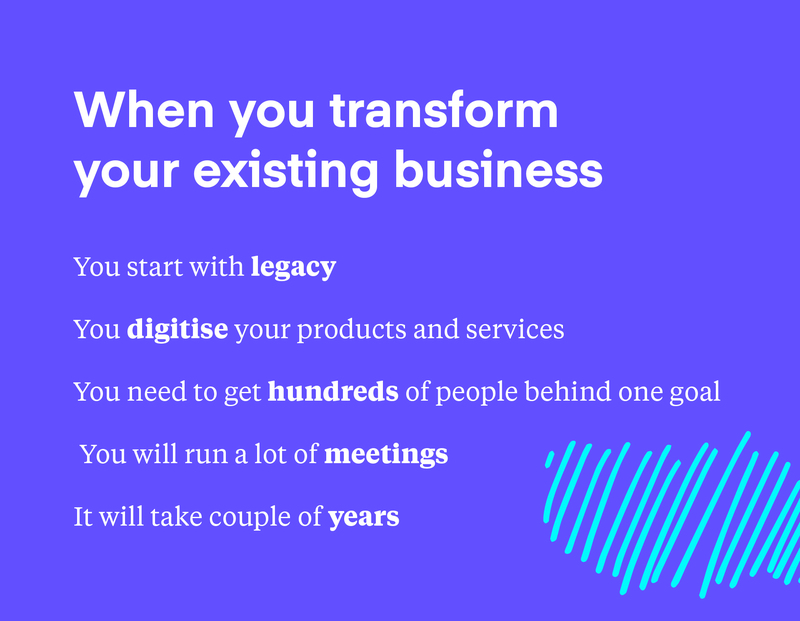 A spin-out shouldn’t just be a new business unit tacked on the side of an established organisation. They should be a totally blank slate: a chance for a whole new way of working. A Beta Business takes this idea and runs with it. At the end of last year, we talked to the people launching ventures on behalf of some of the biggest brands around - and the academics studying them, too. Here’s a glimpse into the evening. You have a new idea, a venture with the backing of a big business and the spirit of a startup. And you have a lot of questions. We think the best way to learn is to share, and that’s why we’re building a community of leaders launching new ventures. Take part in our research and read the findings first. So: what will your Beta Business do?